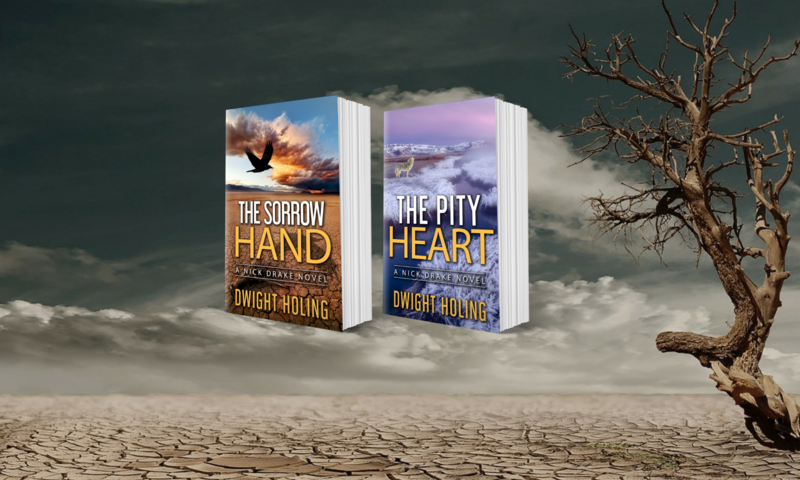 The second in my Nick Drake series, The Pity Heart, was launched less than a month ago, and I’m humbled and honored by the attention it’s getting from readers. 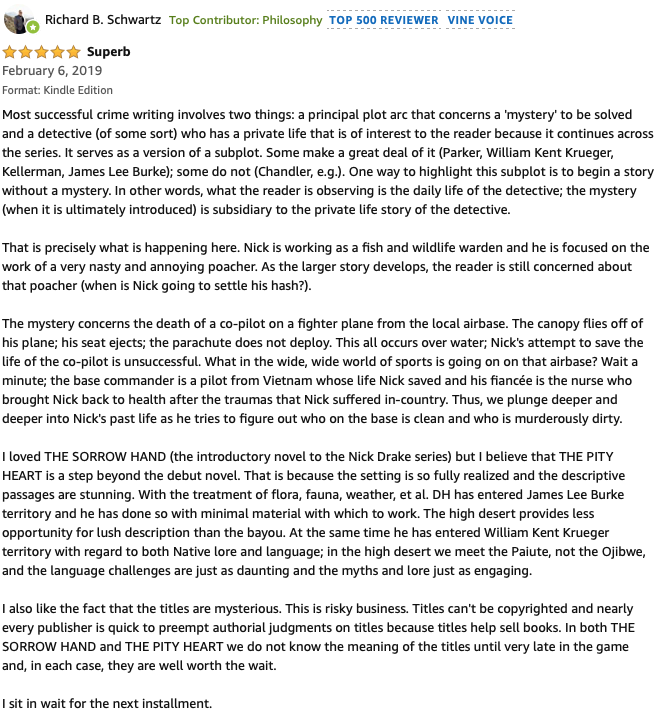 Richard B. Schwartz, an author and academic (he’s a Professor of English at the University of Missouri), and a Top 500 Reviewer at Amazon, views crime fiction through a literary and philosophical lens. Here are his thoughts.